Debating works well for fifth graders who want to work on their public speaking skills. Older elementary students have the analytical skills to learn about debating. Debating is when two speakers or two teams of speakers challenge each other in a formal contest of argumentation. Debate is essential for a democratic society and those with opposing views should be able to argue without the use of insults or emotional appeals. To conduct a debate in the fifth grade, choose appropriate topics for the students' age. Provide a topic on which your fifth graders can debate. Avoid controversial topics in elementary school. Offer topics such as bioengineered foods, school uniforms or standardized testing in schools. Choose a topic that the does not offend any students. Divide the class in half. One team is for the topic's statement and one team is against it. For example, if you decided on the topic of school uniforms, one team will argue for it while the other team will argue against it. 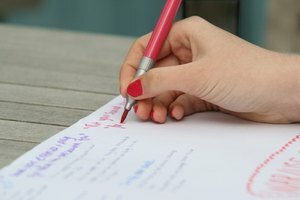 Write down rules for the debate. They should include no personal insults, no put downs, no emotional appeals and everyone needs to do their fair share of research. 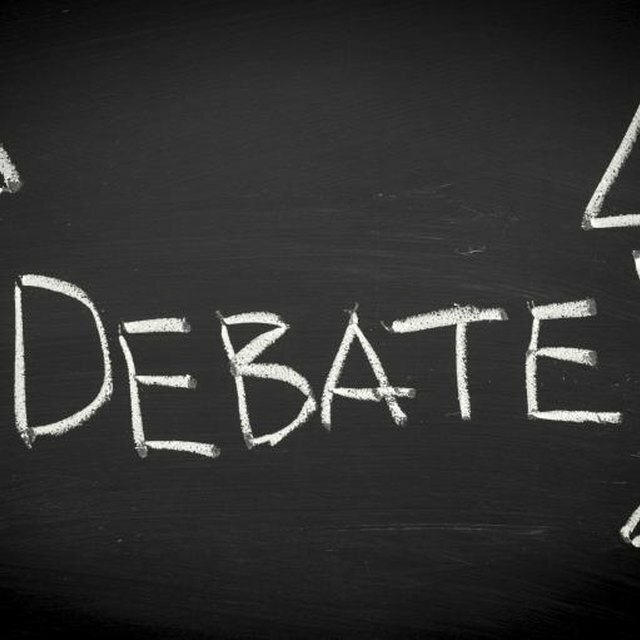 Explain to the students that in debate, the arguments use logic and students must distinguish between fact and opinion. Assign the students to research both sides of the topic from the Internet and at the library. They should understand the pros and cons of their topic even if they are planning on arguing only one side of it. Explain to students that even if they are personally opposed to the topic statement, they can still debate for it. Ask each team to elect a team captain, allowing the students to decide on their own. Using the found research, have each team plan and discuss their arguments. They need to decide on important points they think they need to cover first. They also need to conjecture what the opposing team's arguments will be. This is their strategy for winning the debate. Set up the classroom for the debate. Each team should sit together on their respective side of the classroom. 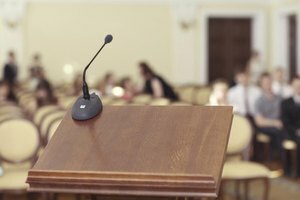 Invite other teachers of parents to help judge and moderate the debate. A timekeeper will keep track of the time of the speeches. 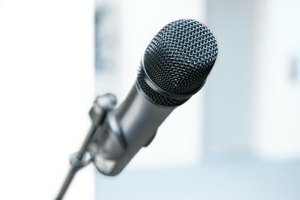 Ask the student who will speak first for the topic statement to give their opening speech. If debate is new for these fifth graders, you can allow the entire team to speak rather than using the three-person team debate. Give the first speaker six minutes to open the debate. Ask the opposing team to give a six-minute rebuttal speech opposing the topic statement. Give each student four minutes to speak for or against the subject. Halfway through the debate, provide a break so students can work on their arguments. After everyone is finished, the moderators and judges may ask the students questions and decide on the winning team. 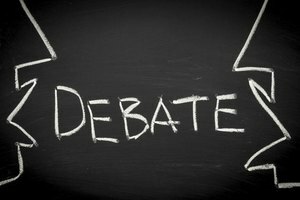 IDEA: About Debate: What is Debate? Chow, Charong. "How to Conduct a Debate in Fifth Grade." Synonym, https://classroom.synonym.com/conduct-debate-fifth-grade-8684271.html. Accessed 21 April 2019.